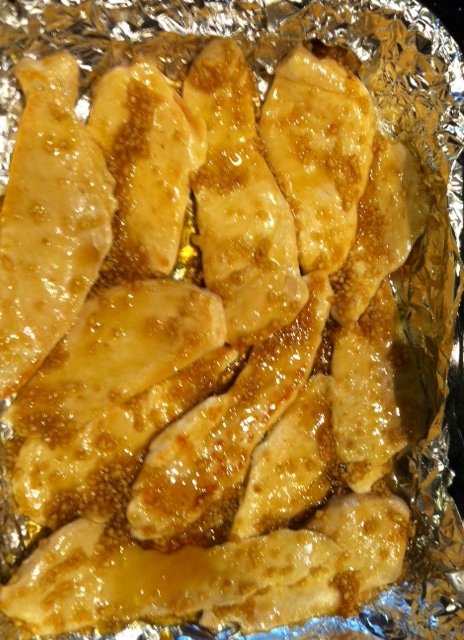 I’d been seeing this recipe for Four Ingredient Chicken all over the boards, so I decided to give it a try. The photo on Pinterest looks like this. 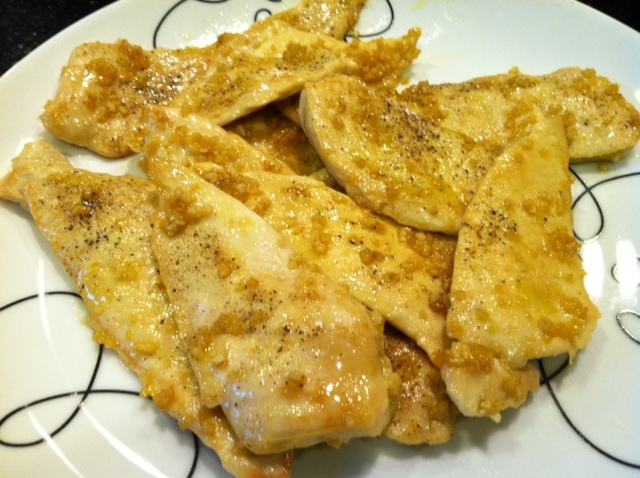 The original recipe calls for whole breast halves, but I already had some thinly sliced cutlets that were ready to use for dinner. First I fried them up in a pan on high heat, because we like it to be a little browned. 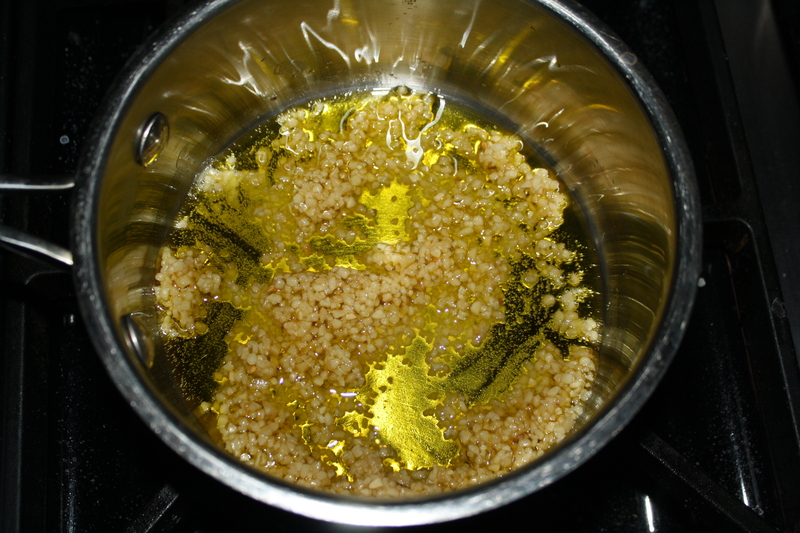 While that was cooking, I put the oil and garlic into a saute pan and heated it on medium-high until the garlic started to expand. 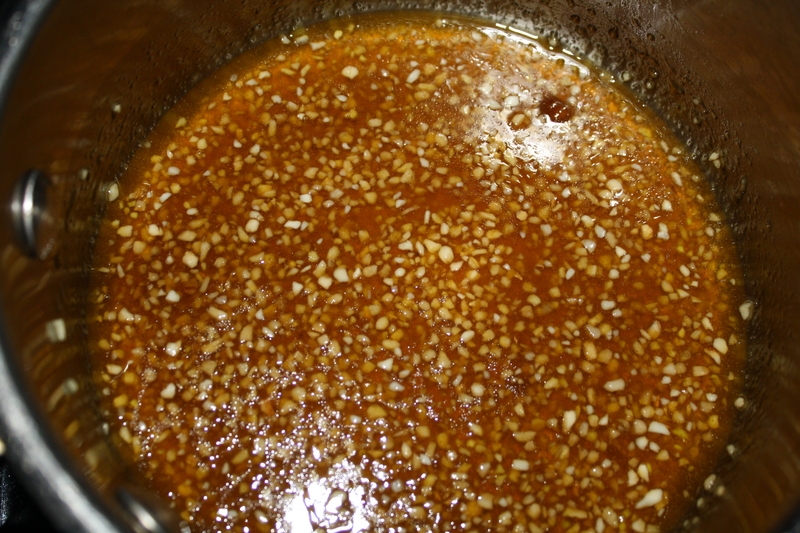 Then I added the brown sugar and let it simmer for a minute or two. 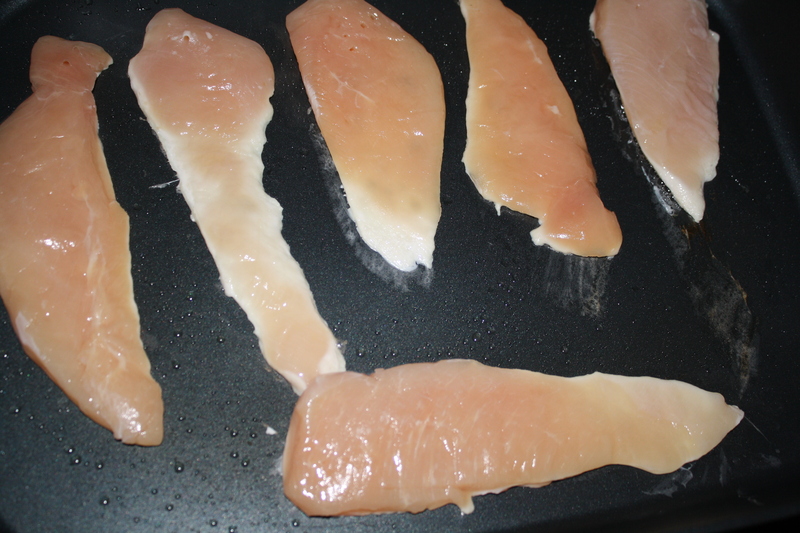 Next, the chicken was removed from the frying pan. The cutlets were browned, but not cooked all the way through at this point. 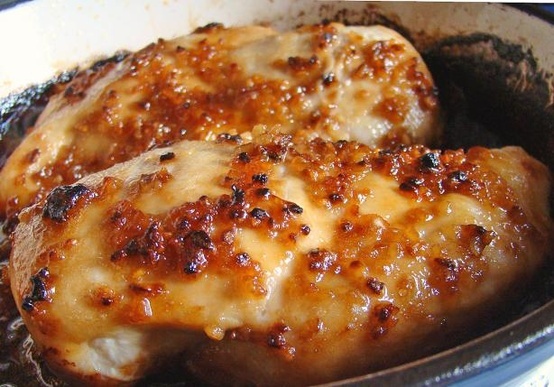 Then the chicken was placed into a casserole dish and the garlic-brown sugar sauce was distributed over the cutlets. The dish went into the oven…but hold on a second! Did you read the temperature in the recipe? Five hundred degrees?? Is the chicken going into an oven or a kiln? I was very wary of the 500 degree idea, so I scaled back the temperature to 350 and baked my chicken for about 20 minutes, until the chicken was cooked all the way through. I lined the dish with aluminum foil because some reviews complained about a messy clean-up. 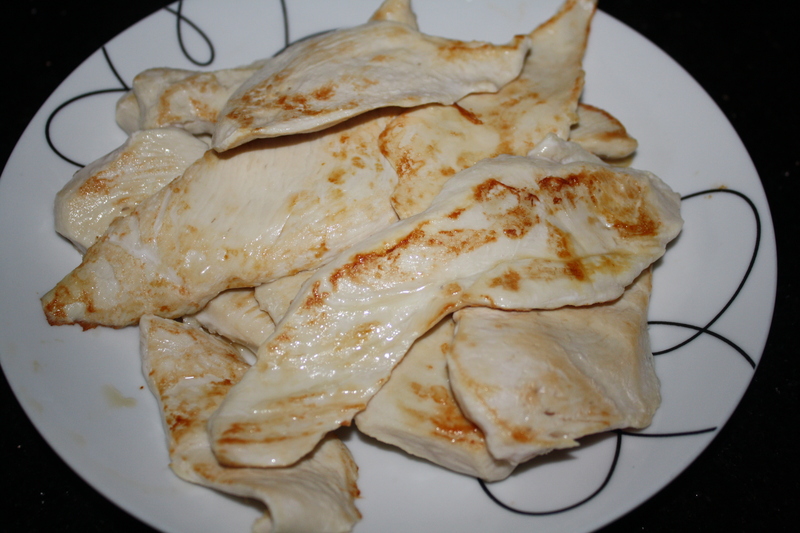 The result was sweet and spicy, but because the chicken wasn’t marinated or really cooked in the sauce for a significant length of time, the flavor didn’t penetrate the outer layer of the meat. It’s a semi-easy dish, made with handy ingredients, (though there are two pans plus a casserole dish to clean), good for a night when you’ve got to cook with whatever you have on hand. I can’t give it a ringing endorsement, sorry. In the end, nobody went back for a second helping, and isn’t that the true test? ← DIY Designer Plates – Can You Make a Lasting Impression With a Sharpie? Wow…nice and easy. My kind of cooking.Thanks for sharing. I have some thighs I just bought.